NADCO job postings are the BEST way to reach SBA 504 industry professionals. 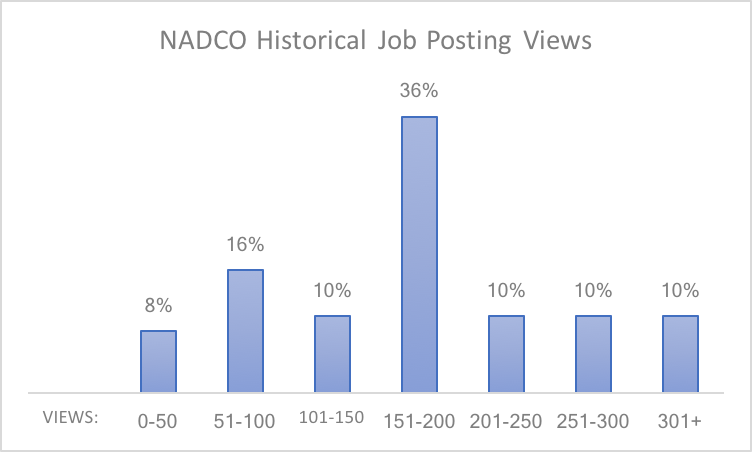 NADCO job postings receive an average of 186 views with our most viewed job reaching 588 views! That's because every time we receive a new job posting, NADCO sends an email to its entire distribution list with the new posting. Happy hiring! *Pricing displayed is member pricing. Nonmember pricing is an additional $100 per job. Pay for the job via a credit card for immediate posting (members must be logged in). Navigate to "Manage Profile" page (appears in upper right hand corner when logged in). Send any other job categories that apply as "secondary job categories"